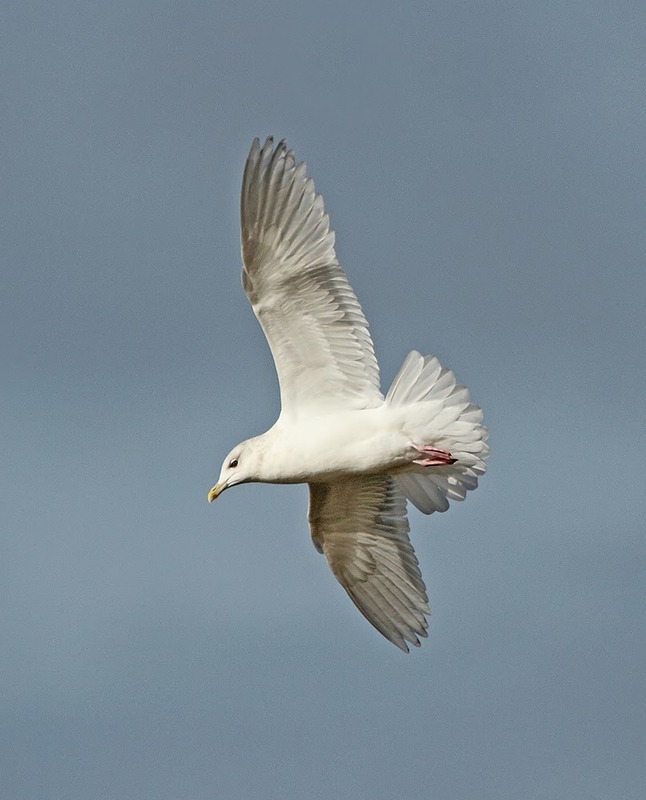 Finally decided to go to Newgale, Pembrokeshire, to see the 'Gullfest' there. 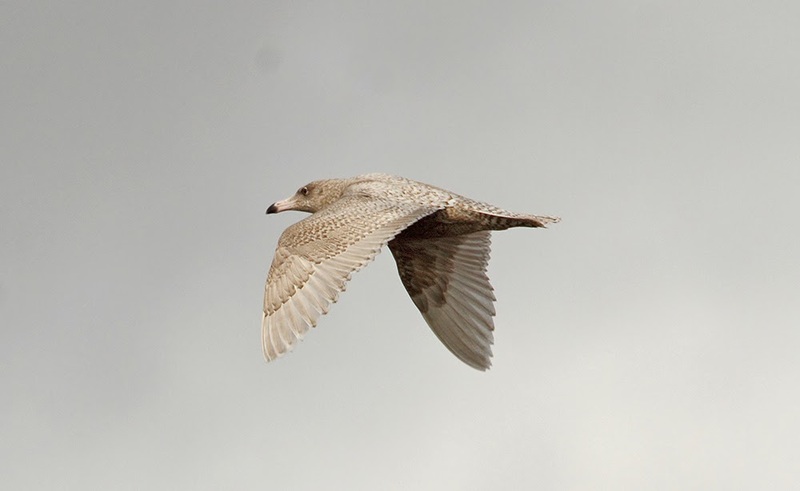 There had been Glaucous, Iceland, Kumliens and Nelsons Gulls all reported there, and a Green-winged Teal. I had been told about where to watch the birds from, firstly the Marsh, sadly this was not good at this time, looking straight into the sun. So, went to the beach. The stream running to the Sea was the place to be. 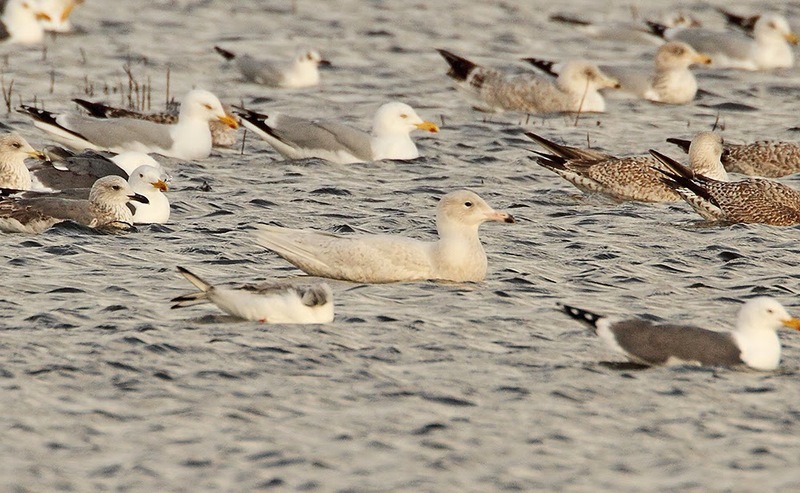 There was a 1st Winter Glaucous Gull, the adult Kumliens Gull, Kittiwakes, plus the usual 5 common species. A couple of Ravens, and a Sparrowhawk were also seen here. We moved back to the Pub car park, to view the Marsh. This time we could actually see the birds that were there. 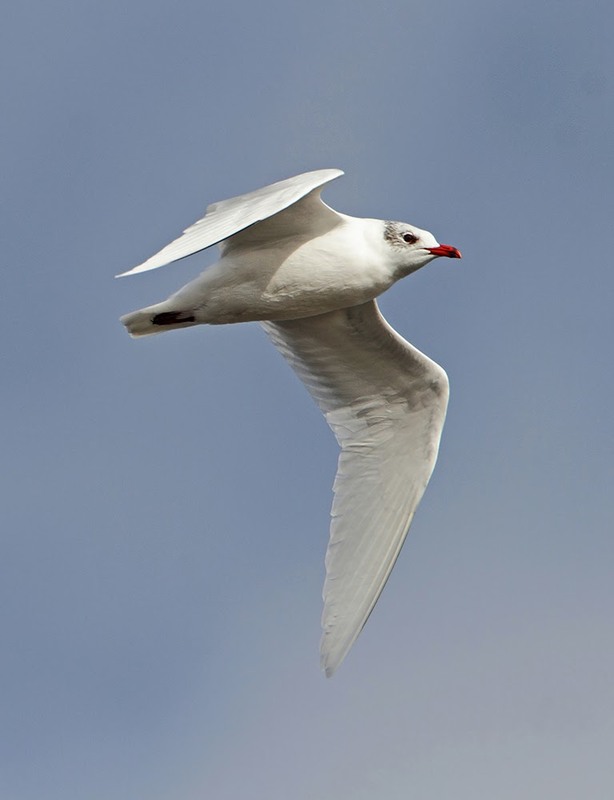 The same species of Gull were now visiting the Marsh. 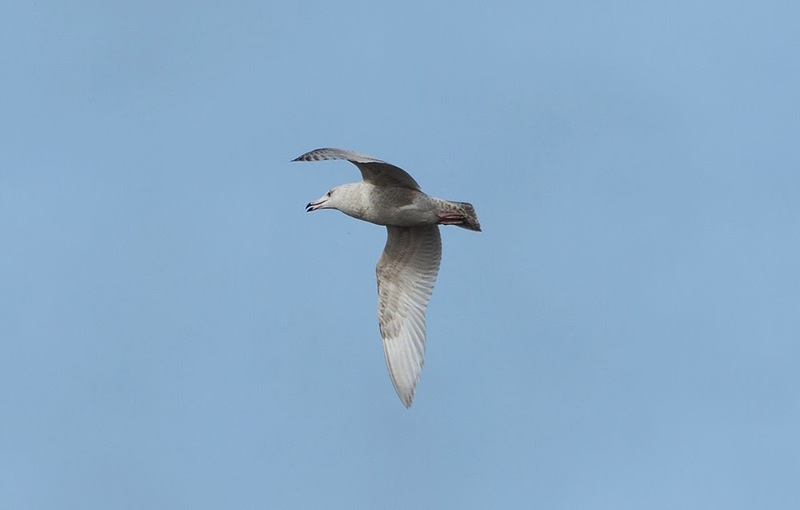 Another Glaucous Gull, this time a 2nd Winter was there too, a couple of Med Gulls, and a Gull we thought was another 2nd Winter Glaucous Gull, but it had dirty, greyish primaries, was this the Nelsons Gull which had been reported? Yes it was, i got a second opinion by sending the photo below to the Pembrokeshire Blogger later, who confirmed jot for me! 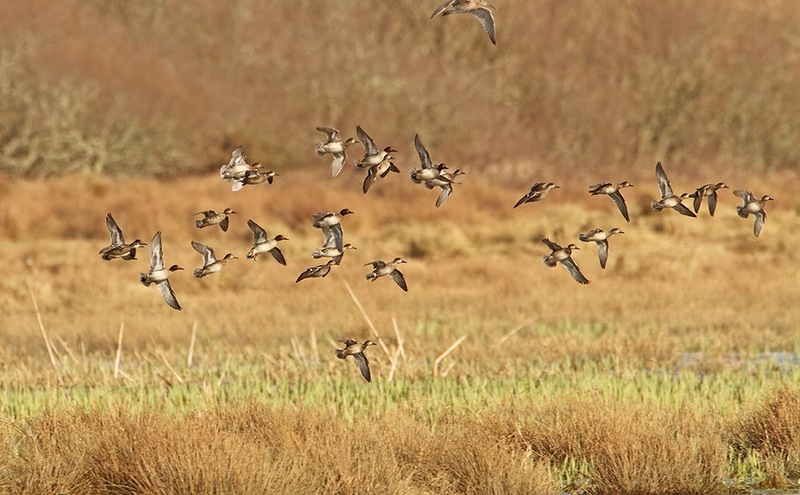 We also refound the Green-winged Teal, but at the back of the Marsh, but it did fly around a couple of times with the European Teal. Towards the end of the day, as the light was starting to go, a ringtail Hen Harrier flew around at the back of the Marsh too. It is in there, honest!!!! So, all in all, a well worthwhile trip! 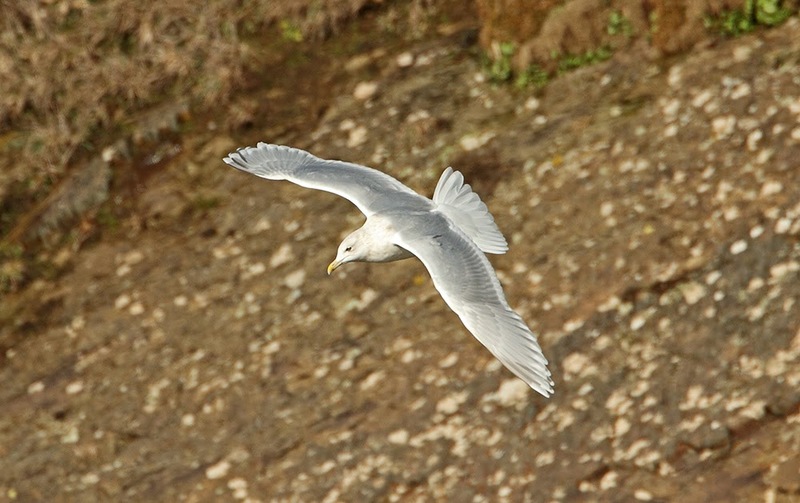 A new species of Gull, and some decent pix, which always helps!! !